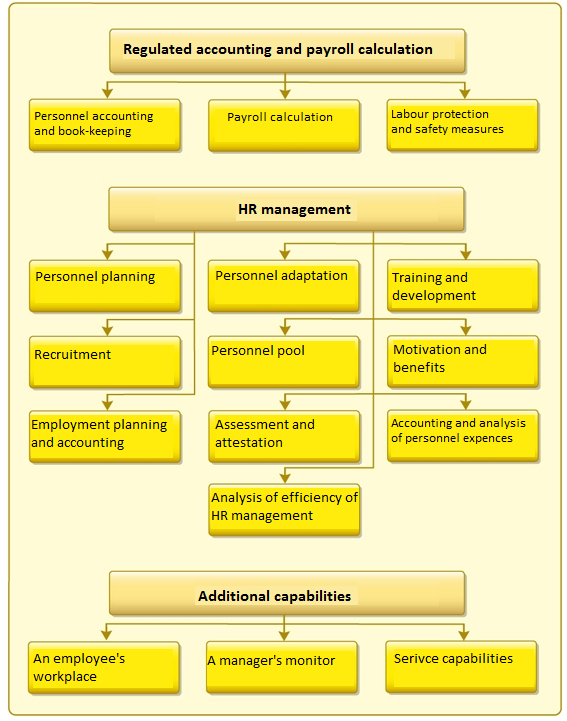 1С: Payroll & HR Management 8 is an automated system, which provides a complex approach to personnel accounting, HR management and payroll calculation according to the requirements of the current legislation and regulations of an organization. other structures, engaged in staff recruitment and development. to introduce all the necessary adjustments. How can 1C:Payroll & HR Management help your company? «1С: Payroll and HR Management» solution allows an organization to build an effective personnel policy, to optimize HR management processes and payroll calculation due to the presence of all the necessary functional modules. communication with tax inspections, social funds and other state authorities. It’s also important, that 1C: Payroll and HR Management 8 fully complies with the provisions of the federal law №152-ФЗ «On the protection of personal data», allowing to register events, related to personal data, provide access to personal data and deny access. In addition to that, «1C: Payroll and HR Management» provides an organization with opportunity to conduct a timely accounting of personnel expenses, allocated for its development and training, optimize the aforementioned expenses and plan this item in the future. schedules according to form Т-3/Т-7 and much more. 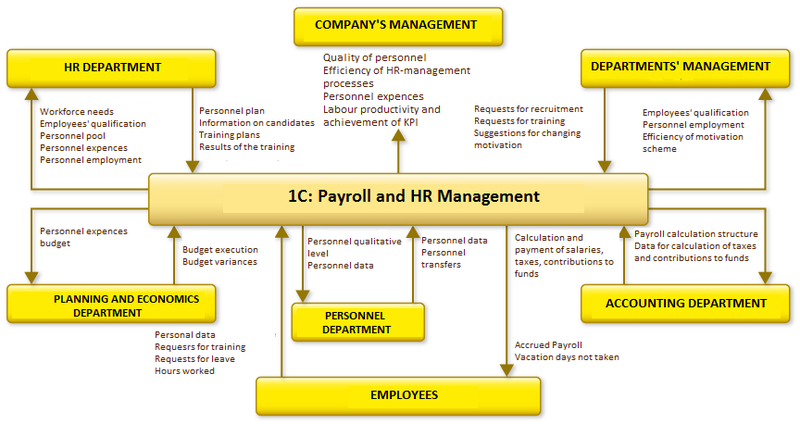 Why 1C: Payroll and HR Management? Automatic formation of the necessary reports, extracts and certificates (for management, state authorities and funds) according to the Russian legislation. Storage and prompt representation of all the necessary information in the area of both regulated and management accounting. Possibility for integration with “1C: Enterprise” services.